Do you really looking to create invoices fast and send to your clients fast? Whether you are a freelancer, contractor, builder, physician or any service provider, invoicing might be your inseparable business part. Then why not to explore a perfect invoicing solution that can save your time and efforts while helping you create a detailed and elaborative invoice for requesting payments. The various Sample Invoice Forms give you a quicker way to create invoices quickly. Check out the following blank invoice options and download the suitable one. Here is the perfect blank invoice sample available online in PDF format that helps you create a detailed invoice for requesting payment from your client. Get downloaded online now today. Get this printable blank invoice downloaded online and get customized to frame your personalized invoice to request payment from the client. 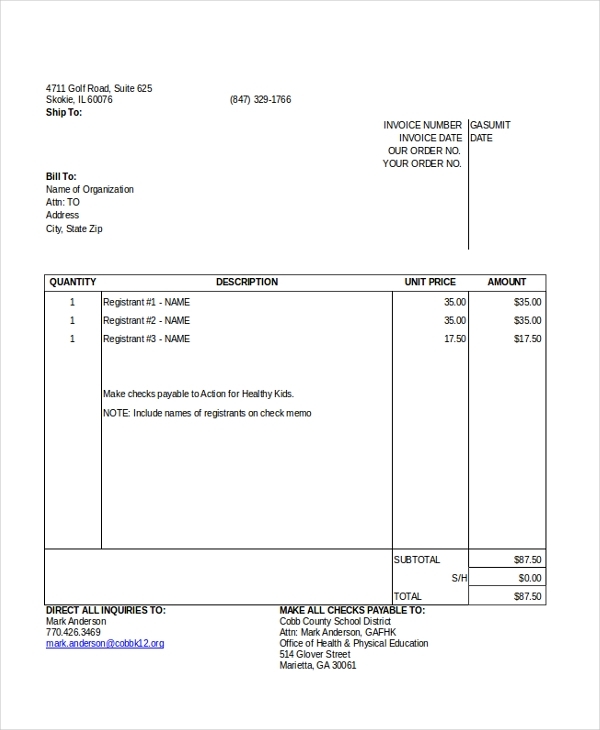 This sample will help you create a detailed invoice in a few minutes. Invoice your customers in the most continent way by using this blank customs invoice template available in PDF format. This sample comes with perfectly organized columns which you can fill with your customized details. You can also make changes to the format to add or remove columns. Looking to create a detailed commercial invoice? 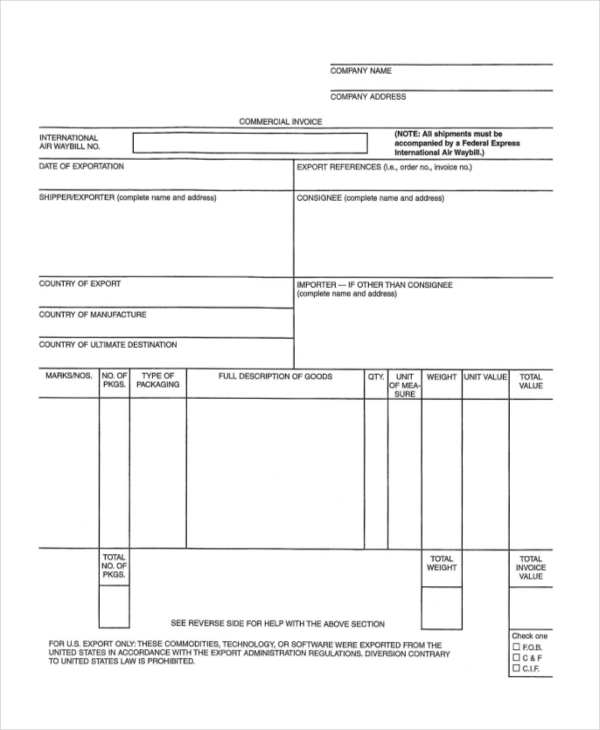 Get this blank commercial invoice form downloaded online and create a thorough and professional commercial invoice created to request payments from the client. Here is another perfect blank invoice option for you if you are looking for an ideal invoicing format. This template is available in excel format and is highly easy to get customized. 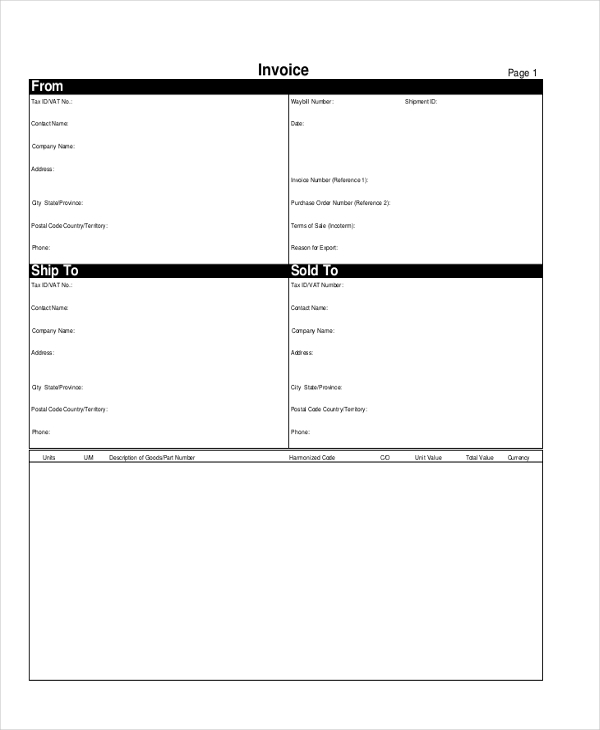 Give the detailed elaboration of your delivered products or services to your clients while also requesting payments with this effective blank service invoice template available online for instant download in PDF format. 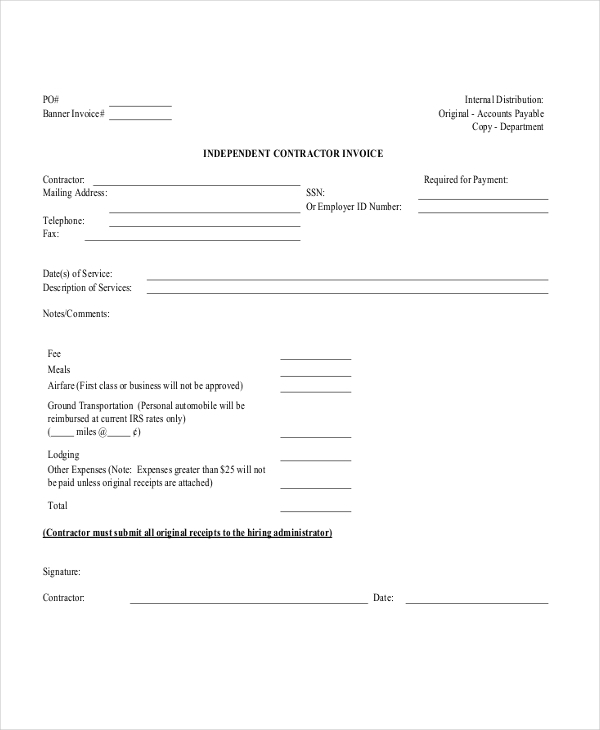 Are you an independent contractor looking to send invoices to your client? Check out this blank invoice form and get downloaded to create detailed invoices fast. Fully customizable PDF file with editable fields. 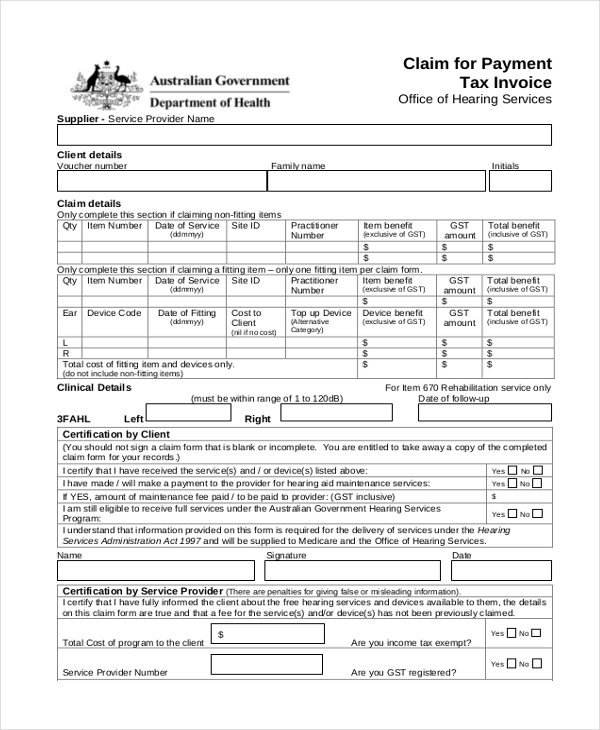 Try this blank tax invoice form if you are looking to create a tax invoice to send to your client. With this sample, you just need to fill the columns with your personalized details. You can also edit the form to create required field names. 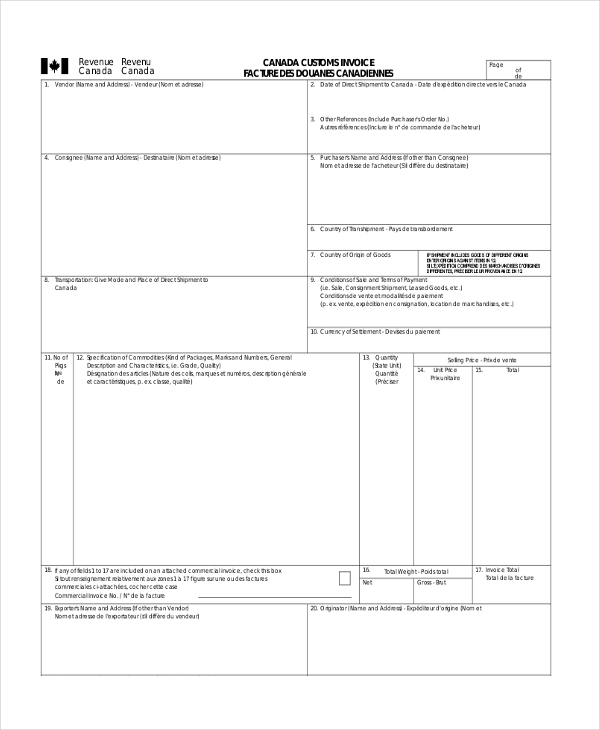 Do you need help in creating a proforma invoice? 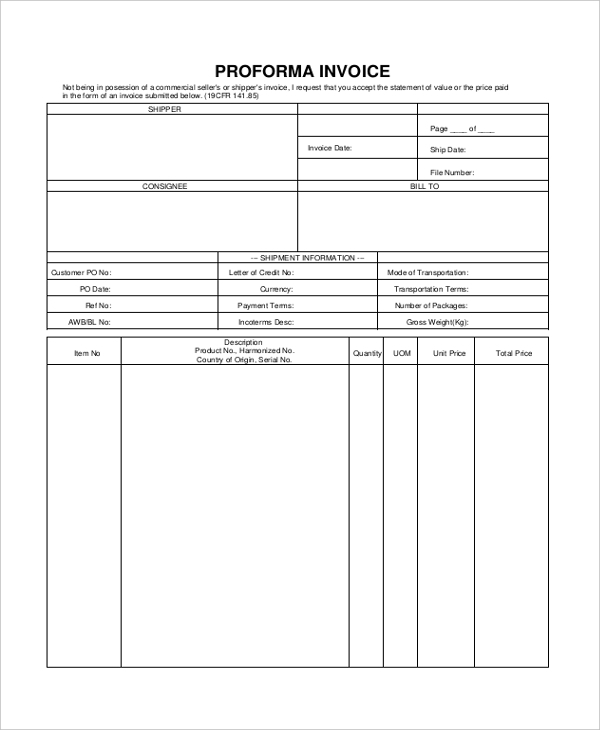 Utilize this blank proforma invoice template and create detailed invoices to request payments from your customers. Available for instant download in PDF format. Download now. Need to request payment for your business travel expenses? 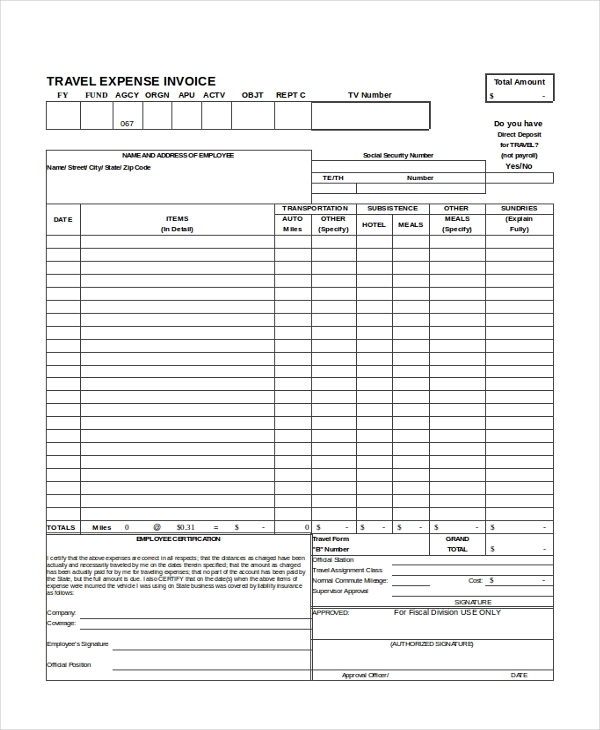 Here is the required type of your blank travel expense invoice template with which you can create a perfect blank travel expense invoice in seconds. 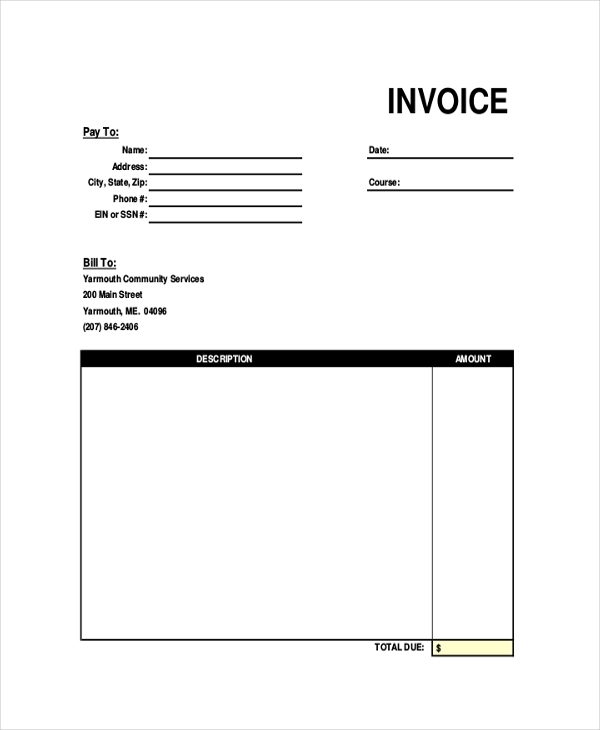 What are The Uses of Blank Invoice? Among numerous uses of blank invoices here are a few of their major utilities. The foremost important use of a blank invoice is to provide a thorough list of products and services deliver to the customer with the total amount payable for those. A blank invoice template is ideal to be utilized by entrepreneurs who do not have enough knowledge of how to create an invoice, as a blank invoice will make them just fill the fields with their information. An invoice can also act as a receipt when a customer pays all the dues to the service provider. You may also see Free Invoice. 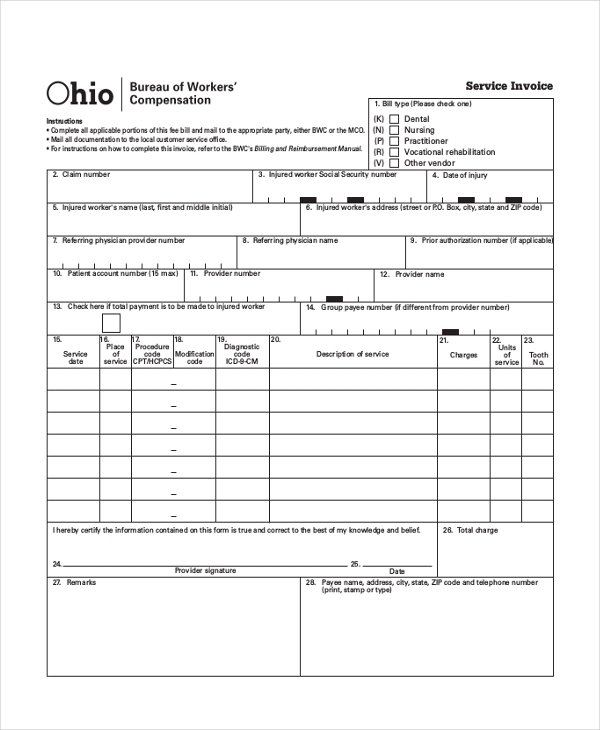 What are The Most Significant Benefits of Blank Invoices? Various major benefits of blank invoices are as follows. A blank invoice makes it easier and quicker for you to create a detailed invoice in seconds without the need of creating one from scratch. A good blank invoice helps customers to get detailed insights on what they are going to pay for with the rates of every single offering. These blank invoices are beneficial in the instances when a customer might want clarification about any product/service or transaction. In such case, you can simply refer to the sample invoice thus clarifying client doubts easily. Doesn’t matter whatever business you are in, you would definitely need to create invoices for all your products and services delivered. Then why not to make invoicing little bit hassle free and easier without compromising your professional way. Just check out the above listed blank invoice forms and download the best-suited one for your invoicing needs. You can also see Standard Invoice Forms.